Butterfish Misoyaki Trio Bento, a photo by sherimiya ♥ on Flickr. Butterfish misoyaki; woo! See the recipe and method I used here. In Hawaii you can find frozen butterfish everywhere, but here I buy it fresh. So good over hot rice. 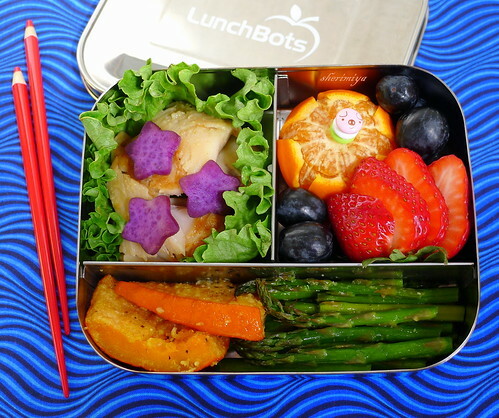 This Lunchbot Trio is perfect to keep the fish (and Okinawan sweet potato stars) separate from the roasted parmesan kabocha and pencil asparagus spears, with the final section going to the grapes, strawberry and cutie mandarin. I put the little piggie dango pick in because otherwise there's nothing very cute about this bento. But on the upside, it only took a few minutes (most of it going to the mandarin carving) to throw together. Yay! Looks delicious!! 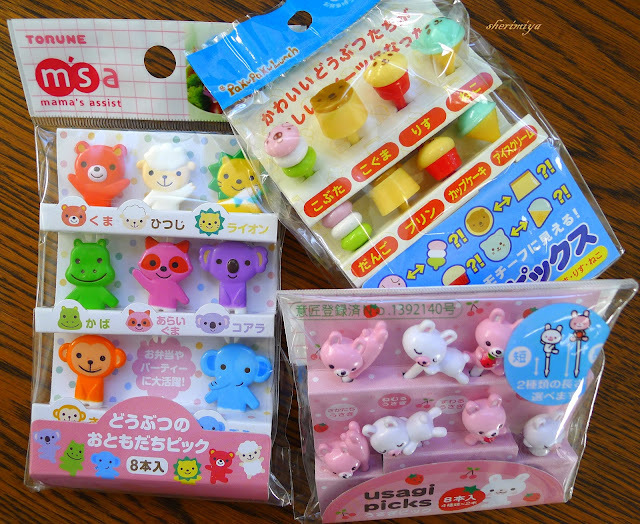 Where did the cute little animal dessert picks come from? They are too cute! 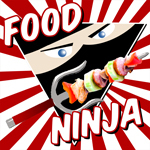 Thanks Jenn; the picks are from Ichiban Kan in San Francisco Japantown. Woo indeed! Cheerful amd delcious with the perfect tiny bit of kawaii! Those picks are adorable. Looks good as usual, your bentos are great. How sweet; thank you InkBlots!